Sequel to the popular Tribal Wars, Tribal Wars 2 taps into that original gameplay with all-new enhancements of features, systems and graphics creating a more modern browser-based free to play MMO. In the game players have rule over their own mediaeval village, charged with advancing their fledgeling Empire by constructing a vital village buildings and training up mighty armed forces to defend their lands. With elements of PVE against sophisticated AI Barbarian nations players will primarily focus on player versus player conflict with other rival villages through acts of war. The game is completely free to play with some premium currency options that players can take advantage of to give them extra perks, benefits and time-saving options. The game map is divided into a number of provinces with players taking control of their own village, as well as a wide number of villages been controlled by the barbarian AI, each of these abilities are a means to pillaging resources for your own Empire or even taking control of them and advancing your territory. 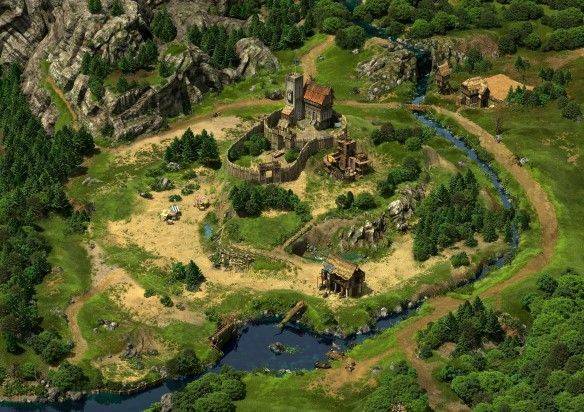 To complete such a task players must field a powerful army that can both protect and defend their territory as well as offensively crush their rivals as players continuously send waves of troops out from their villages to attack nearby settlements. Many players choose not to go alone and instead will either form or join a Tribe, an Alliance of play villages that work together to try and achieve common goals and dominate their respective servers by becoming a force to be reckoned with. Combat is an automated process, the results of a battle are determined by the number of units both forces have assembled as well as the unit types as players can choose from a handful of different Attacking and Defending units, with more powerful units available as players upgrade their barracks. Sending troops out to attack a rival village can take a number of minutes or even hours if a village some distance away, often the case if an Allied Tribe have targeted a particular village for everyone to attack. After the battle is done all involved parties will receive a Battle Report to show their unit losses as well as whether they were victorious in battle and how many resources they managed to pillage from the defending village. Training up units and constructing/upgrading the various village buildings requires resources, typically wood, iron, clay and provisions that are used over time to keep units that. There is also a fifth premium currency resource called Crowns that players are able to spend to rush various build queues in order to acquire buildings and units quicker, though these Crowns can also be earned through gameplay. Managing your Empires resources is the key to success, through the intelligent upgrading of resource production buildings such as Timber Yards, Farms Clay Pits and Iron Mines, but players also have the option of completing various quests in order to earn extra resources.